Early Readers are stepping stones from picture books to reading books. A blue Early Reader is perfect for sharing and reading together. 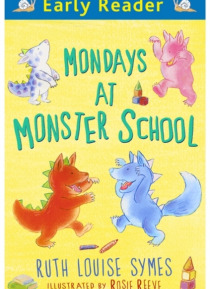 A red Early Reader is the next step on your reading journey.Even little monsters get worried about their first day at school. It's a big step to take. Fred and Ted are two little monsters who aren't at all sure they want to go...but once they do, they soon find ou… t it's fun. After a day filled with mud splashing and slime painting, some howling and growling practice and a good stomp and stamp, not to mention big helpings of worms for lunch - they can't wait for Tuesday!